The Project Spartan now Microsoft Edge becomes the default web browser on my Windows 10 computer after upgraded to the latest built 10122. It stays as default app even I tell Google Chrome to be the one, which indicates that the way how to set up the default apps in Windows 10 has changed. 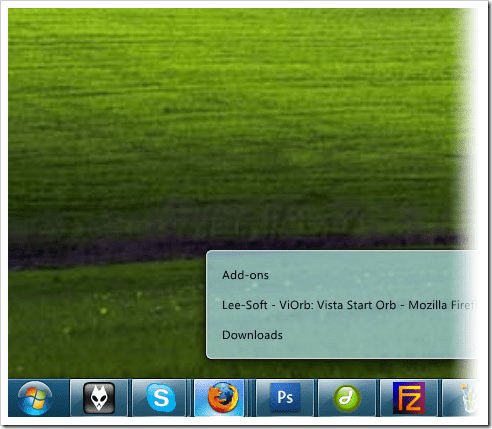 Click the new Start button, go to Settings. Then go to System and Default apps. Then click the type of apps you want to change. 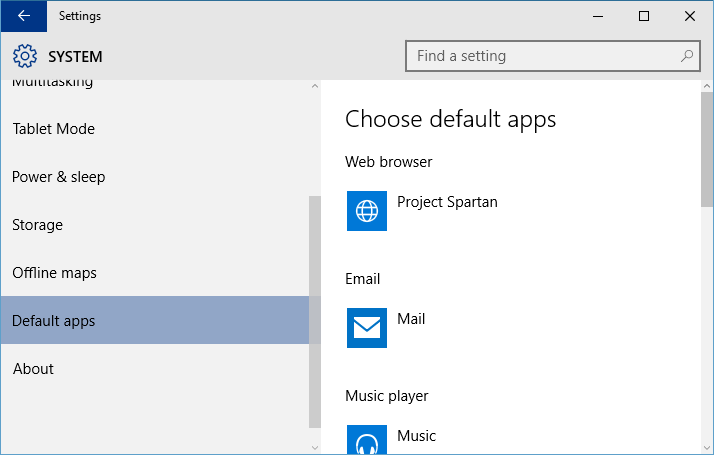 For example, I want to change the default web browser from Project Spartan to Google Chrome. 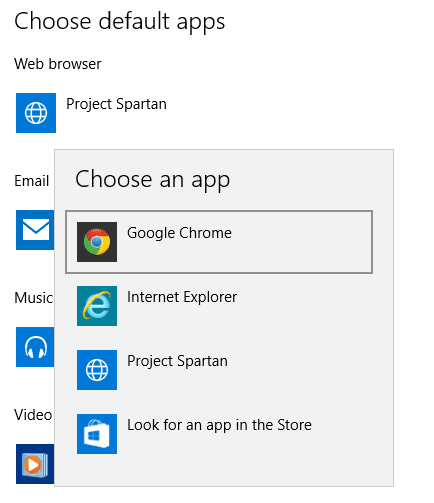 I click Project Spartan and pick Google Chrome from the app list. Simply clicking Reset button will switch everything back to the default recommended by Microsoft. Like before, you can also define the default app based on the file type, from Choose default apps by file types link right underneath the Reset button. 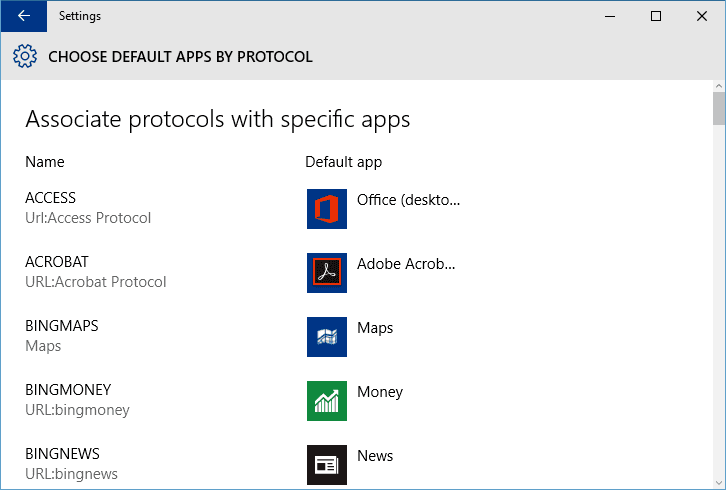 What’s new in Windows 10 now is that you can also define the default app based on the protocol. For example, an Access url will opens Office Access application directly, or HTTP url will launch Project Spartan directly. That’s why even though you have changed the default web browser to Google Chrome, opening a url attachment from Outlook may still open Project Spartan instead. Please also note that this new way of setting default apps doesn’t actually replace the old Set Default Program in Control Panel. 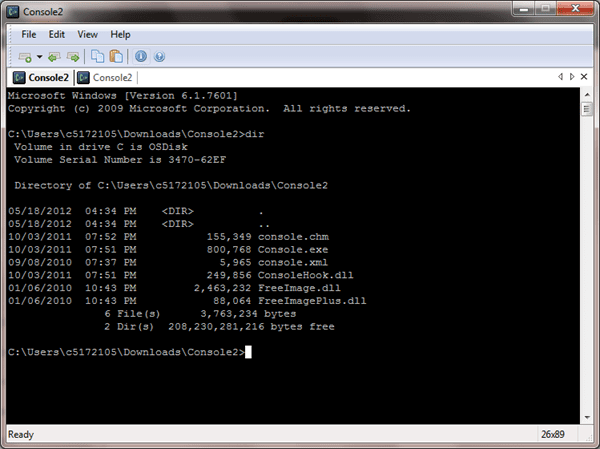 You can still use the old way to manage default programs. You can even click Set defaults by app link to switch directly to Control Panel from the new Settings app.